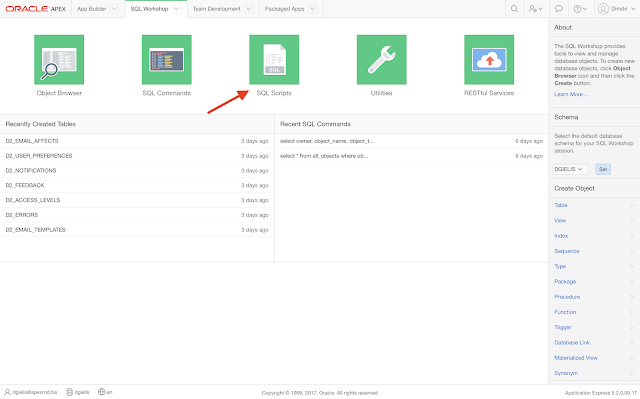 I blogged about Quick SQL already a few times as I saw not many developers knew about it. I really love Quick SQL as it allows me to build my data model very fast, but also shows me the structure of the tables in a very efficient way. 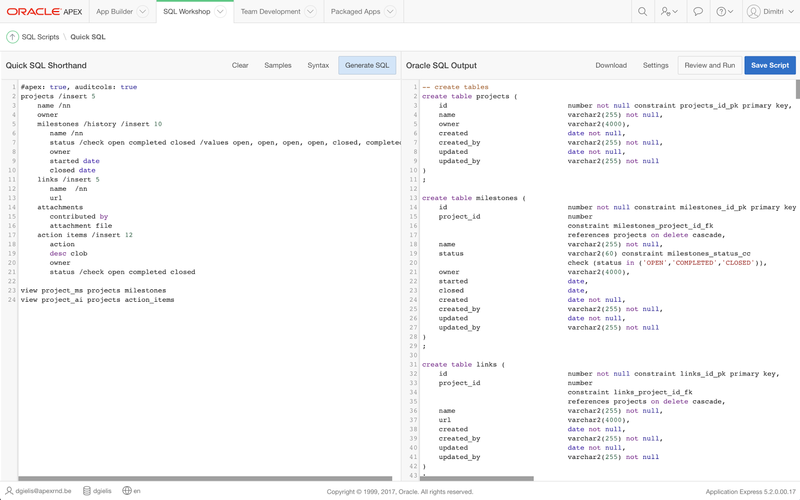 That is why I created a script that can reverse engineer existing tables into the Quick SQL format. You can run your script after you save, straight from this interface. 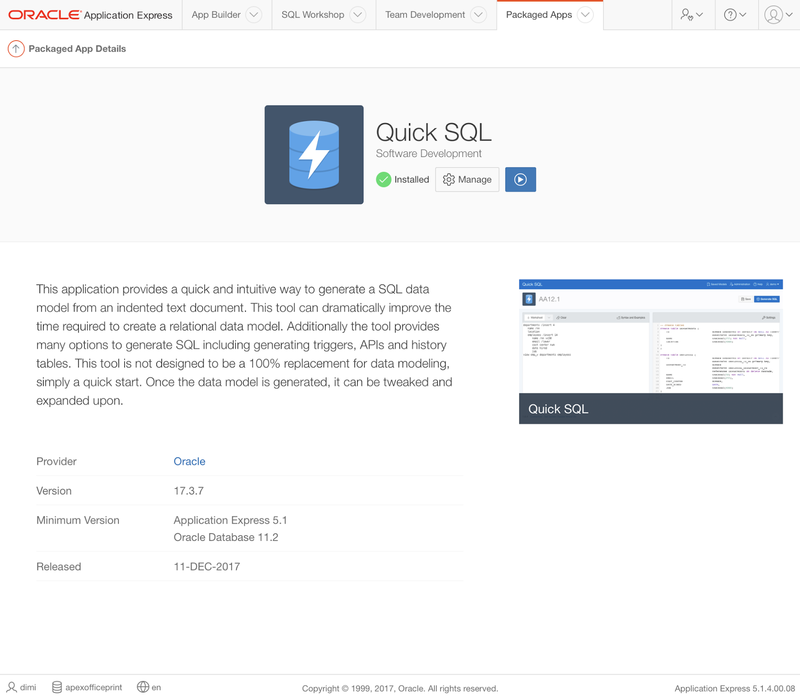 Note: the screenshots are taken from Oracle APEX 5.2 Early Adopter, so things might change in the final release of APEX 5.2.